After a stop at the sign post forest and a tailgate lunch in Watson Lake, Yukon, we were on the road again, this time heading south! At Junction 37 we moved onto Highway 37 and have been driving on it since. This by no means looks like a highway and more so like an ordinary rural road. A road with no shoulders, no lane lines, lots of bumps and loose gravel . 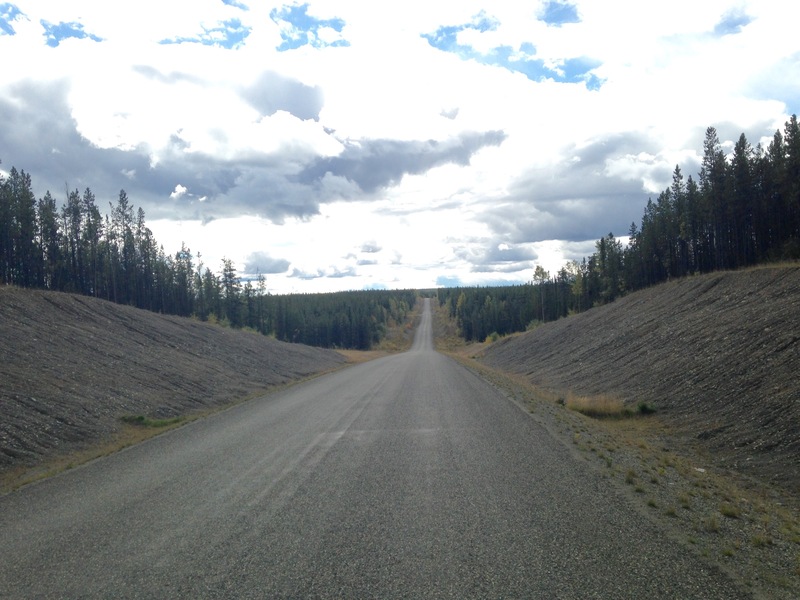 It’s a very simple but beautiful highway running through BC. Lots of ‘watch for wildlife’ signs, however we didn’t see much. 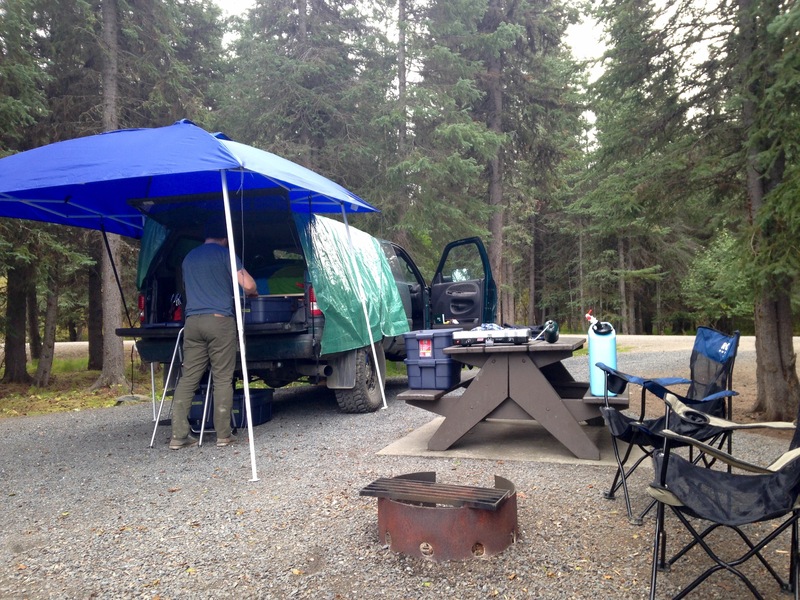 Around 2 PM on September 4 we arrived at Boya Lake provincial Park. Upon our initial arrival, we both agreed this was probably the best site we had been in yet. There were a few drizzles but the sun was peeking through for most of the evening. After setting up camp and looking around a bit, we came to the conclusion this was definitely the best spot yet. Hands down. I could not stop taking pictures. 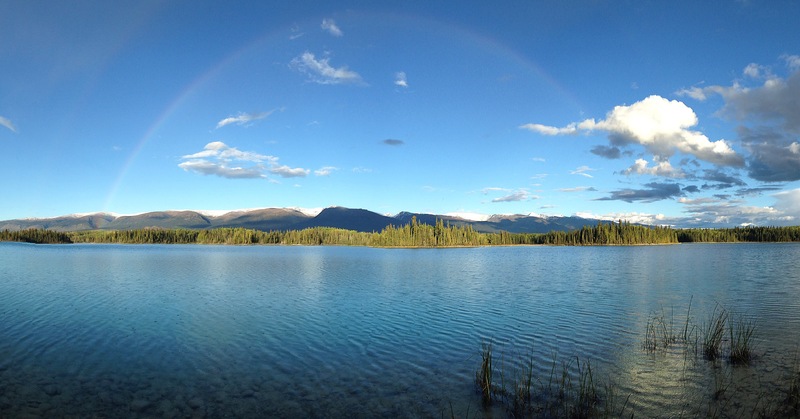 Boya lake is arguably the most stunning place I’ve seen in BC, and not just on this trip. The glassy, turquoise lake and surrounding mountain ranges gave a pure sense of tranquility and calm. And awe. Truthfully, my eyes welled up as I took in the unreal scenery around me from sitting in my camping chair inches away from the lakes edge. Sleep came easy after a dinner of KD and sausages – yes mom, it was delicious! We were sad to leave Boya Lake. Considering it was sunny, we took advantage and made a big breakfast. After taking a handful more photos and several deep ‘take it all in’ breaths, we were on the road again. 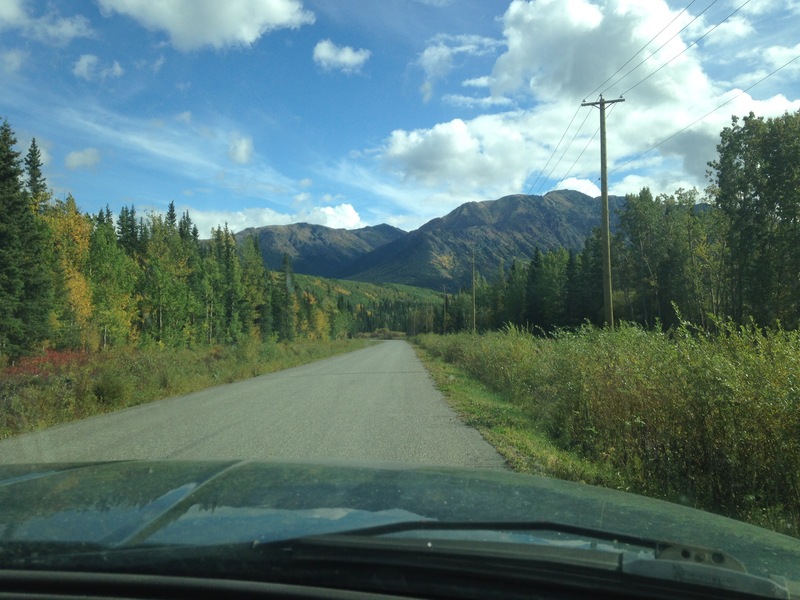 Drove south, through the little Jade City, debated buying a mine that was for sale, and kept going along Highway 37 – which still resembled a rural road. We stopped at Dease Lake for a few photos, a rather large lake. It is clear fall is coming. The mountain sides are bursting in autumn colors. I guess summer is over. The rain we have endured also points to this. Made it to Kinaskan Lake Provincial Park where we would camp for the night. Another beautiful, quiet lake side campsite, with just a few other people in neighboring sites. The park lady came around and gave us free firewood! “Well, you’re paying to camp here, so no worries!” It was awesome, dry wood. Things you get excited about while camping. Made a big dinner, taking advantage of minimal rain. Rain did come however and we retreated to our truck-home for bedtime reading. This seems to be routine. Up around 9:30am on September 6, toast for breakfast, pack up and on the road! We were heading to Stewart and Hyder (Alaska) to see some glaciers! This is a bucket list item for me. I have a huge love for geography. I went through basically all of the geo courses when I was at Capilano University (almost majored in geography) and it was the glaciers that really stole my heart. They are the dinosaurs of the natural world. These mammoth ice chunks hold so much history and can teach us so much about our future and climate change. Seeing a glacier, ideally in my home province, was most definitely on my bucket list. 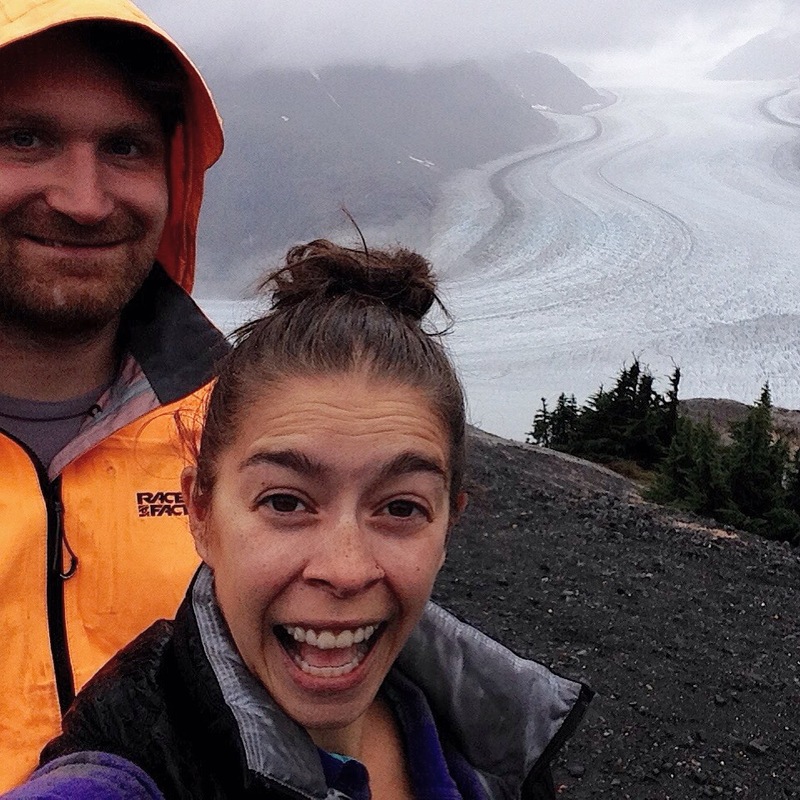 We would spend the night in Stewart and venture to see the glacier the next morning. After a rainy AF afternoon and night at Clements Lake rec site, we packed up the fastest we have, and headed into Stewart/Hyder to go glacier hunting. 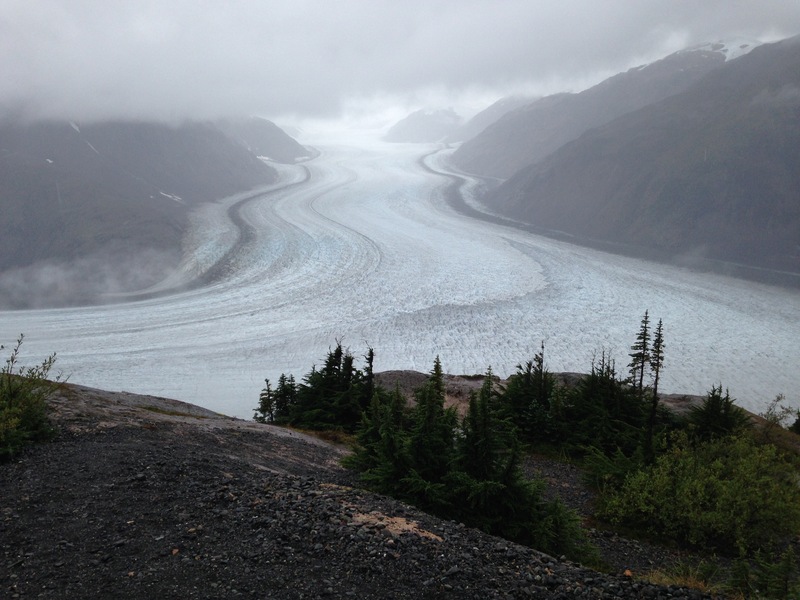 There are two main glaciers to see in Stewart/Hyder: Bear and Salmon glaciers. Bear glacier can be easily seen from the side of the road while Salmon glacier requires a drive through Hyder, Alaska, and an hour along a service type road, winding up into the mountains to an eventual, breath taking view point where you are overlooking the mass of ice that is Salmon glacier. Wow. Bucket list item, check! I don’t have many other words to describe how cool it was to see. Joe and I were both pretty awe-struck standing at the top, looking down on this massive glacier. A humbling moment. Us humans are so insignificant on this earth compared to these majestically ancient pieces of ice. Ok, enough sappy glacier talk, yah, I’m obsessed. We made our way back down, slowly, and found the little Bitter Creek Cafe once back in Stewart and enjoyed hot coffee, soup and sandwiches. It was so needed. We are now back on the road, passed through Meziadin Junction, and heading south down the 37. We are trying to get out of the rain. Hearing it’s sunny in Vancouver is a slap to our damp, yet smiling, faces. Here’s hoping we find drier skies and warmer temps soon! I didn’t know you were so into geography Christy. Your enthusiasm for glaciers is making me more curious about them.